How’d you like to spend three and a half weeks intensively exploring one topic, then take a four day break, and then start all over again with another topic? 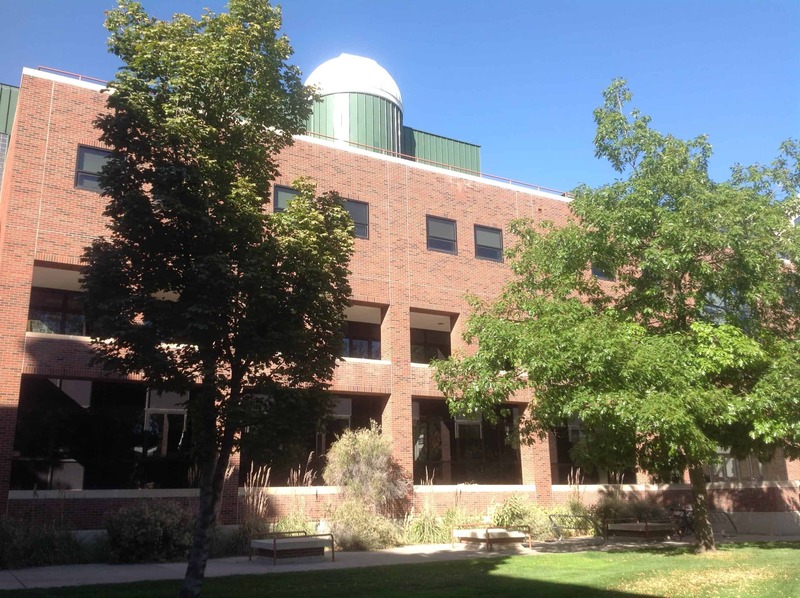 If that sounds like an interesting way to study, then Colorado College might just be for you! They call it the Block Plan. Administrators talk about “deep collaboration and dialogue” during those intense three and a half week courses, and students talk about having ownership of their course schedule. “Colorado College teaches you to do high quality work quickly,” said one of my student tour guides. Barnes Science Center has an observatory. Most students have eight blocks per year. Some subjects require extra time, like languages, many of which are offered as “double blocks,” in 7-week chunks. The majority of courses have fewer than 25 students, unless they are team-taught by 2 professors. Because of the close relationships developed by intensive study, students generally call professors by their first names. Just like in other colleges, students admit that sometimes you will end up with a course you hate. But with the Block Plan, you’re done with it in just a few weeks. Students say that the block plan helps to lessen the stress of finals – while their friends at other colleges are studying for four or five finals and rushing to finish end-of-the-semester papers, they are only studying for one final, as they have completed their other three courses of the semester. CC’s non-denominational chapel is home to “First Mondays,” a lecture series held on the first Monday of each block. Speakers have included Ralph Nader, Margaret Atwood and other prominent opinion leaders. studied Dante and Michaelangelo by spending four days in Florence, four in Rome, and then four hours in the Sistine Chapel – alone, as Colorado College reserved it for that time frame. One of the students in that course said she lied down on the floor to study the ceiling. Top majors at CC include bio, economics, political science and geology. There is no core curriculum. Financial aid at CC is generous – they guarantee that they will meet full demonstrated need. Financial aid also stays in place when students study abroad – for a block or a semester or year with another college program. 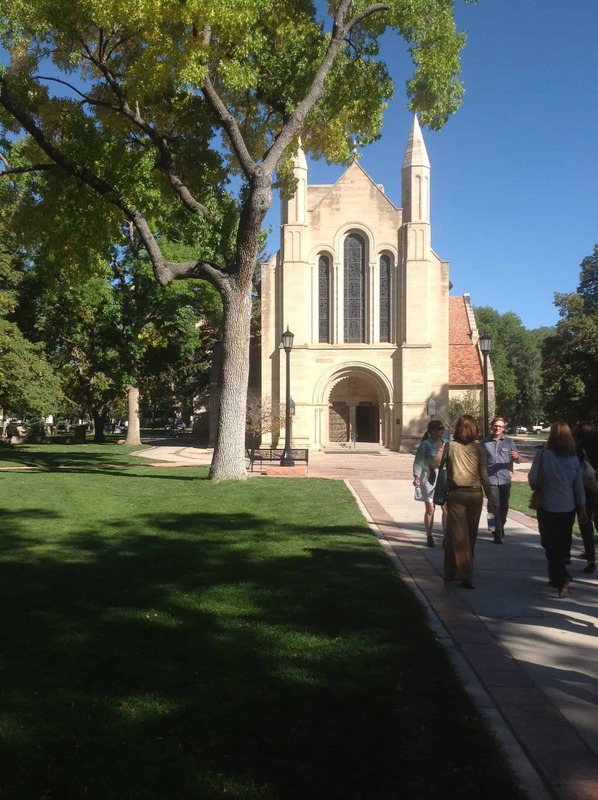 Colorado College has a beautiful campus; you can see my photos here.